The problem with the Greens is not 'unaffordable' policies. That's 'Liberal-Speak'. It’s rhetoric which can rationalize opportunism on austerity for instance. It’s loaded-rhetoric which ‘locks in’ small government. The real problem for the SL is that Greens gains are losses for the ALP Left within the PLP (Parliamentary Labor Party): affecting our policy influence as far as policy is determined by Cabinet. (or the Shadow Cabinet as it is for the time being) And a common accusation is that sometimes the Greens distort facts on Labor Policy to achieve that. But despite claims to the contrary, people who were insisting that we needed Greens preferences to win were proven right. We cannot escape from the fact Labor and the Greens need each other. So for the most part "big spending" promises are 'not the problem'. Promoting incremental extension of social insurance, social welfare and the social wage - should go without saying for Labor. We did not go far enough on tax reform and superannuation concessions reform. Yet nonetheless it was the most promising economic platform we've promoted in years. By this I mean it was the first election in years where we had not locked ourselves arbitrarily in to a policy of holding spending and tax down as a proportion of GDP. If people want evidence of the need to begin campaigning early then look at the disinformation on Medicare privatisation in the media and from the Liberals. Privatisation was narrowly interpreted as ‘selling an asset off’. Labor’s message was therefore deemed a ‘scare’. Yet upon reflection Labor’s implicit definition of privatisation is legitimate. Medicare is a relatively modest scheme of socialized medicine by some international comparisons: providing for the costs of a variety of consultative services and procedures publicly. Nonetheless, Medicare (and the PBS – Pharmaceutical Benefits Scheme) contain national health costs radically compared with the overwhelming dependence on private health cover in the United States. The danger, though, is that we are nonetheless developing into a ‘two tiered’ health system in health as in education. With increasing degeneration into Galbraith’s ‘private affluence, public squalor’. The more this progresses the more entrenched the situation becomes ; and the more divided the country grows on the basis of social class. This - accompanied by growing out-of-pocket expenses - would be both inefficient and unfair: an expression of the principle of privatisation as opposed to socialisation. But Medicare must be extended as well as defended. Medicare does not currently include comprehensive dental, podiatry and physiotherapy , or medical aids like glasses, hearing aids or prostheses. We need a reforming government which provides for this through the progressive reform and extension of the popular Medicare Levy without austerity elsewhere. It’s also notable that we sold NDIS (National Disability Insurance Scheme) well in the past. But we can't sustain an argument that improved social wages and social insurance can be provided without significant tax reform elsewhere. $7 billion from negative gearing and Capital Gains Tax concession reform was important. (adding up to 0.4% of GDP) At least we were somewhat on the front foot. And Labor’s defensive stand against $50 billion in Company Tax cuts was crucial to its message ; and to a revolt in sections of the electorate against ‘corporate welfare’. But I think we can and should do better. It requires planning and arguments put well in advance. It requires promoting a public debate which challenges peoples' assumptions about the desirability (or undesirability) of 'small government', low taxes, the importance of social investments, social insurance and so on. It requires a party of activists – mobilized to a significant degree throughout the whole electoral cycle. In short: we need an ALP with a vision reconceiving of a 'forward march of labour'. An idea of what 'progressive' actually means. That is 'how we want to progress things’. And that must mean an extension of social insurance and the social wage ; an emphasis on public infrastructure and services ; a more progressive tax system - and so on. Which takes real resources- Hence the emphasis on tax reform. But both sides capitulated to short-term opportunism on superannuation concessions - which will be costing tens of billions to benefit the rich and the unambiguously well off. With the new parliament it is to be hoped that the impending $50 billion bill for superannuation concessions will drive policy by necessity. And Labor can use its position in the Senate to ensure these changes are fair for middle and lower income Australians. Hopefully Xenophon can be convinced of this also. His votes will be crucial. Also thankfully while Labor did not develop a strong enough policy, here, at least at the early leaders’ debate Shorten kept his options open on future reform. Turnbull by comparison locked into ‘no further reforms’. It will be interesting to see if he sticks to that. But even increasing progressive tax and associated expenditure by 1.5% of GDP (or $24 billion/year out of a $1.6 trillion economy) in a first term Labor government would be meaningful. That should be ‘the policy floor’ – which we resort to only if necessary - and below which we compromise no further. Crucially: there are vulnerable people who need our help sooner and not later. That includes the elderly, the ill, the disabled, the poverty-stricken, and the long term unemployed for a start. This requires tens of billions new spending to be meaningful. With Shorten’s election campaign appearance on QandA, he was confronted by an aged pensioner who argued that an unforeseen contingency (eg: a broken washing machine) could send her broke. In other words, that it may come down to a choice between paying bills, seeing the doctor, or feeding oneself. Shorten conceded there was ‘nothing he could do’. Which probably translates as: ; ‘internal polling shows people don’t want higher taxes’ or that they ‘resent pensioners’, and hence Labor was ‘cutting some of the most vulnerable loose’. We have to do better than this next time. And the way we do that is through a solid campaign footing for a full three years between now and the next election. But keep in mind that's in the context of a $1.6 TRILLION economy. We're talking about affordable reforms that the media and Conservatives will portray as 'radical' and 'irresponsible'. The Liberals especially don't want to compromise at all on their 'small government, neo-liberal, laissez faire' Ideology and agenda. No matter what the cost to vulnerable and disadvantaged Australians. In fact we need to develop a public debate about how low social spending and how small the public sector are in this country - and why moving closer to the OECD averages - even if only gradually - would be a good thing. · introduce a Universal Basic Income (UBI) as proposed by NSW Labor policy activist Luke Whitington, and begin eliminating poverty. · also fund various infrastructure projects publicly as opposed to creeping privatisation- with the consequence of passing efficiencies on to the broader economy. · top up local government with federal funding - redistributing resources to help local government in working class and disadvantaged areas to provide better quality services and infrastructure. 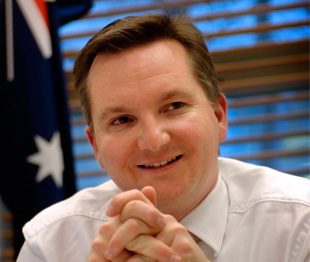 · Finally we could reform higher education and make the HECS system far more progressive. Raise the minimum repayment threshold for a start. And implement Industry and Labour Market policies which bring us closer to full employment: with a big boost to the Budget bottom line. What's important over the next year or so it that we adopt the posture necessary to promote the next wave of reforms in what they used to call ‘the forward march of labour'. ALSO even in the wake of our election loss we should still aim for a Company Tax rate of 30 per cent or higher and not back down from that. (ie: whether in government, or vetting legislation in the Senate) Because it is both necessary and reasonable for the corporate sector to contribute to the services and infrastructure it benefits from. The alternative is neglect - or otherwise 'corporate welfare'. Sam Dastyari’s estimate that corporate tax evasion is costing $31 billion a year is also relevant here. And you would think Labor needs a stronger policy than it took to the last election. That is: Labor’s policy only aspired to claw back $2 billion of this over 4 years. Labor desperately needs a sense of what its professed ‘forward march’ comprises ; and why that is desirable and right. Let’s begin a debate sooner rather than later: moving Labor onto ‘the front foot’. This means shifting straight away to a ‘permanent campaign mode’ based on ‘solid but partial mobilisation’ through the activism of our rank and file. (full mobilisation throughout the entire electoral cycle could prove exhausting, however) Also we need to implement an early release of ambitious policies which our activists and supporters could mobilise around. We don’t want to be pressed again to retreat on crucial policies (for example Aged Care funding) due to public fears re: the presumed need for a Budget surplus and low taxes – as occurred in the recent federal election campaign. A non-binding ‘policy conference’ some time over the next year could also help mobilise the enthusiasm of Labor’s rank and file ; inspiring innovative policy development to drive Labor towards the next federal election. Contrary to Bowen this Conference should not replace the binding ALP National Conference which determines Labor's Platform.